When you mention the name Samsung, most of us would think of the extremely advanced TV sets that they come up with, curved screen and all, not to mention their famous smartphone family – the Galaxy range, which one of the latest models would be the Samsung Galaxy S6 (and the S6 edge, although the “plus” models have since been introduced, of course). Samsung too, has its own collection of processors – and it looks like they have set their eyes on the mobile health market by offering a new smart bio-processor in order to address the growing mobile health market, making it the first of its kind in the industry. In fact, the Samsung Bio-Processor is now in mass production, where it has been specially designed to enable accelerated development of innovative wearable products, targeting those who are increasingly monitoring their health and fitness on a daily basis. 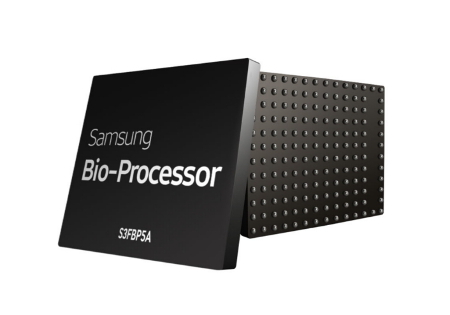 The Samsung Bio-Processor claims to be the industry’s first all-in-one health solution chip, as it integrates Analog Front Ends (AFE), as well as the microcontroller unit (MCU), power management integrated circuit (PMIC), digital signal processor (DSP), and eFlash memory, which gives it the ability to process the bio-signals it measures without having to have external processing parts. Thanks to the integrated design, the Bio-Processor is small and innovative, and measures around one fourth of the total combined size, making it ideal for small wearable devices. Expect to see the Samsung Bio-Processor be madeavailable in fitness/health devices within the first half of 2016.